The sanctions placed on North Korea by the United Nations Security Council (UNSC), in response to the DPRK’s most recent nuclear weapons test, include restrictions on the exports of coal from the DPRK to other nations. These sanctions will affect the DPRK’s coal trade with China almost exclusively, since China is virtually the sole importer of North Korean coal. Although the new sanctions under UNSC Resolution 2321, dated November 30, 2016, could reduce the DPRK’s hard-currency income on the order of a billion dollars annually, and coal exports by 9 to 10 million metric tonnes (Mt) per year, there are a number of “workarounds” that could be employed by the DPRK and China to soften the blow on the DPRK’s coffers. These “workarounds” could include “off-books” coal trade between the partners, lack of enforcement of restrictions on export and transport of coal by local Chinese customs and other officials, the designation of China’s exports (for example, of food, fuel, and clothing) to the DPRK as “humanitarian”, and/or China allowing the DPRK to import goods from China on a concessional (or deferred payment) basis. In addition, it is possible, given recent trends in China’s coal market, that the restrictions under UNSC Resolution 2321 are in line with what China would have done anyway with respect to DPRK coal imports, and thus do not represent much of a change in plans for China overall. Each of these possibilities is discussed briefly below. China—or more specifically, Chinese businesses—could import coal from the DPRK on an “off-books” basis, that is, without recording the trades in China Customs Statistics. These imports, though of course difficult to find evidence for without specific testimony from traders on one or both sides of the border (which is unlikely to be forthcoming), could occur with the tacit acceptance of Chinese officials or without their knowledge, including shipments crossing the border (by land or sea) through routes where customs officials are not present. Such “off-books” trades of coal by the DPRK could boost the DPRK’s hard currency earnings without counting towards the sanctions total. Alternatively, coal could be bartered for Chinese goods, therefore avoiding the exchange of hard currency but displacing the need for hard currency by the DPRK. Even for trade in coal that does come under the purview of customs, it is possible that the actions of local Chinese customs officials may not be fully consistent with China’s national commitment to the new UNSC resolution. Under the resolution, customs officials would presumably be obliged to turn back coal shipments once annual quotas were reached. Officials could fail to do so either by not being adequately informed about the quotas (and/or how close the quotas were to being approached), or by knowing about the quotas but allowing non-compliant trades through anyway, including in exchange for payments of some kind from traders. 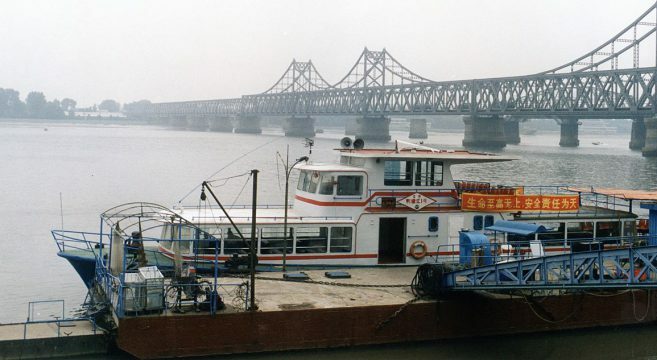 The Resolution also includes a clause on transportation of goods, including the de-listing of ships owned, operated, and/or crewed by the DPRK, allowing inspection of North Korean “cargoes” of other forms (including in the personal luggage of DPRK officials—important for other reasons but unlikely to be of consequence for coal exports). For coal trade in particular, since it is almost exclusively between the DPRK and China, interdiction and inspection of cargoes that may violate the terms of the agreement will depend almost entirely on Chinese enforcement activities, since once outside the DPRK the shipments will likely almost exclusively transit Chinese land territory or territorial waters. China could conceivably… simply let its trade deficit with the DPRK expand. Chinese interdiction and inspection, thus, becomes central to the coal export provisions of the Resolution having an effect on the DPRK economy. The DPRK’s trade deficit with China in 2015 was already nearly half a billion dollars. Even if the DPRK’s hard currency income decreases as a result of the new cap on coal exports, China could conceivably continue its exports of food, fuel, and other goods to the DPRK at the current (2015/2016) level and simply let its trade deficit with the DPRK expand. What accounting mechanisms might be used to allow the expansion of the trade deficit to happen are unclear. 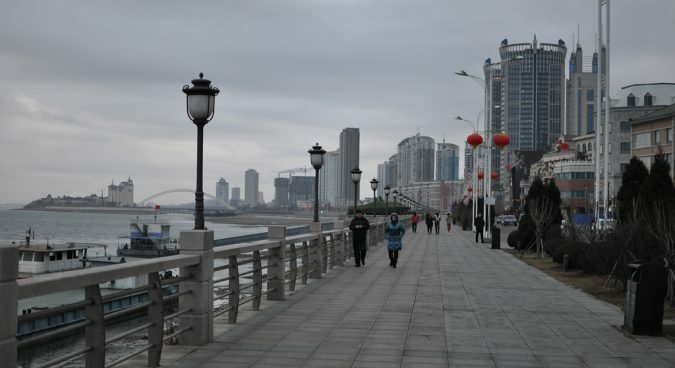 But one could imagine that means such as implicit or explicit loans to the DPRK government from the Chinese government, subsidies for Chinese traders to supply goods to the DPRK, outright gifts of goods (for example, on humanitarian grounds), subsidized prices for some commodities, and/or some other mechanisms might be used to allow the trade deficit to expand without hurting individual Chinese businesses that trade with the DPRK. China could designate some of the DPRK’s coal exports to China—and/or exports of other commodities, such as ores and metals, also on the UNSC list—as being required on humanitarian grounds to enable the DPRK to pay for food, medicine, clothing, fuel for non-military sectors, and the like, as well as to provide welfare to the considerable number of working households engaged by the coal mining sector in the DPRK. It has been suggested that China has used this argument in response to previous UNSC resolutions calling for reductions in imports from the DPRK. China could calibrate the degree to which it designates DPRK coal exports as humanitarian to seek what it perceives as a balance between showing compliance with/support for the UNSC resolution, reducing imports from the DPRK sufficiently to send a message of displeasure, but not enough to cause significant stress on the DPRK civilian economy. China produced over 3.7 billion tonnes of coal in 2015 and consumed about five percent more than it produced. As such, its net imports were on the order of 100 million tonnes. Therefore even at annual exports of close to 20 million tonnes, the DPRK provides a tiny fraction of China’s coal, and far from a majority of China’s coal imports, though the importance of DPRK coal in regions of China near the DPRK border may be somewhat higher. Moreover, China’s coal consumption and production have both fallen slightly in the last three years, as China works to move toward the use of cleaner fuels and using energy more efficiently. China is reducing its coal imports anyway, and is reducing its own domestic coal supply capacity (which is more than adequate to meet its needs) to increase efficiency. As a consequence, China does not need to import coal from the DPRK as much as the DPRK needs to export coal. The impact of the UNSC cap on DPRK exports of coal will have little impact on China’s overall coal supply, though it can be expected, of course, to affect the volume of business done by particular traders, and possibly increase costs somewhat to some Chinese consumers of DPRK coal. China could cut annual DPRK coal exports by about 2 Mt, thereby demonstrating that it is complying with the UNSC resolution on coal exports without actually affecting DPRK production, since that much additional coal might be absorbed for DPRK domestic use. China might have reduced imports to that degree (or more) anyway, due to the state of Chinese coal demand and trends in global coal supply. Given that UNSC sanctions call for about 10 Mt/year of overall reductions in DPRK coal exports, that would leave 8 Mt of coal designated by the UNSC resolution as sanctionable by China. The extent to which China designates this amount as either to be reduced as a part of sanctions or to be included in a humanitarian (and/or “normal trade”) exemption, in some combination, is a political choice for the Chinese government. No-one seriously believes that the sanctions can actually impede the North Korean missile and nuclear weapons program at this stage, although they might slow those programs down marginally in some ways, and accelerate them in others (for example, by making the North Koreans even more skillful at smuggling hardware and knowledge, and further accelerating their indigenous R&D of missile technologies). Given the spectacular anti-Chinese statements and actions made by the new American President Donald Trump and his appointees in the lead up to and after the 2016 U.S. elections, it is hard to believe that China will pursue a hard line that risks destabilizing the DPRK politically or economically in order to accommodate American concerns about North Korea’s nuclear program. With South Korea’s government effectively paralyzed by Park Geun Hye’s impeachment process, China is most likely to adopt a minimalist imposition of coal export sanctions against the DPRK in order to maximize social and political stability in the DPRK itself. It will want to send the strongest possible message to the United States and others that cooperation on strategic objectives shared by great powers is a mutual affair, not a one-way street.